From the time my kids were small, we’ve had a Friday afternoon tradition that I look forward to all week. As soon as both kids walk in the door from school, we all quickly change into our Christmas pajamas and immediately cozy in for a weekend of relaxing. And, in the winter time, I’d be lying if I said we always waited for Friday to roll around. More often than not, when the days become shorter and the cold wind starts blowing, there’s nothing I love more than a cozy pajama set to curl up in next to the fire. 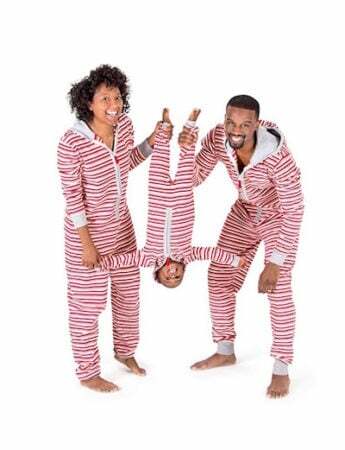 And if you buy matching pajamas for your entire family and all wear them on Christmas morning, we won’t judge. 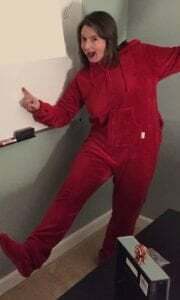 When my teens surprised me with this cozy fleece onesie on my birthday last year, I couldn’t believe my good fortune. It checks all the boxes: hoodie, a pouch on the front, and, wait for it: removable feet. The fact that I look a tiny bit like the Elf on The Shelf should not deter you at all (because it comes in a bunch of other colors). This is the brand on Oprah’s 2018 Favorite Things and, if you are looking a way to dress your family in organic cotton, matching jammies, This is a great place to begin. We all have that friend who is always “all over cold.” The kind of cold that you can feel from your head to your toes. Well, this hooded snuggle will make even the Grinch’s heart warm. The Harry Potter fan in your life will thank you. Trust us. We think these are adorable and are available for the entire family, too. They would perfect for a Harry Potter movie marathon over the holidays. 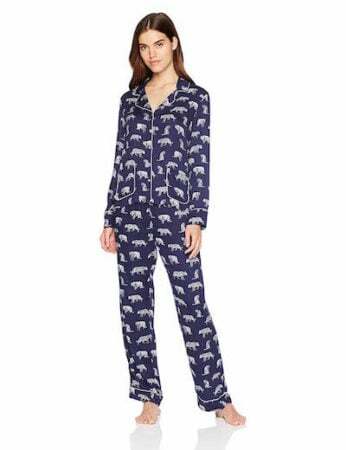 The softest pajamas your teen will ever wear are these by Splendid and how cute are these with a tiger pattern? 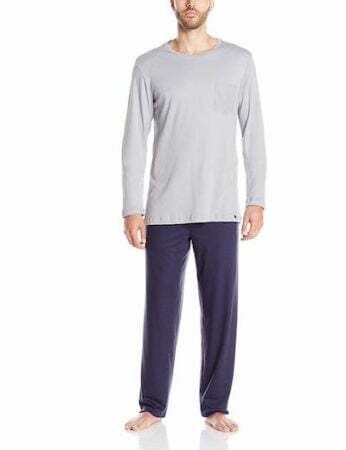 For the guy who is ready for a grown up pair of pjs, Hanro, a company that started in Switzerland in 1884, makes the very softest knitwear and these would be a special treat for him for Christmas pajamas. 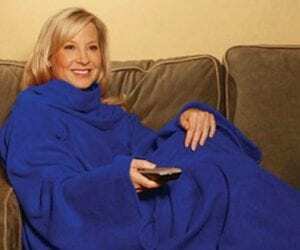 Admit it: you’ve secretly always wanted a Snuggie. Go ahead, buy one for your teen. And get one for yourself. We won’t judge (because we want one, too). 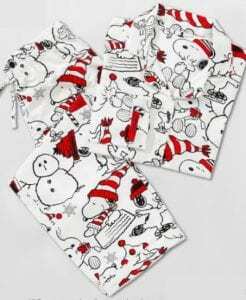 We think these short pjs are super-cute and perfect for the holidays especially when your family is celebrating the holidays in warm-weather climates. Target is selling all sorts of matching family pjs this year and we think these are pretty adorable. Green plaid Christmas pajamas are a classic, perfect for your Instagram story to come. 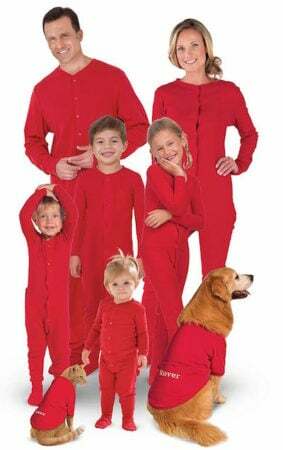 For the family who wants to be matching, right down to the family dog and cat, can we suggest the Pajama Gram Hoodie-Footie line? Someone, please buy the cat costume and snap a picture, we are begging you. There is nothing wrong with wanting to match your dog on Christmas morning or at any point during the winter. Listen, when New Englanders say something is “wicked soft” you believe them, okay? 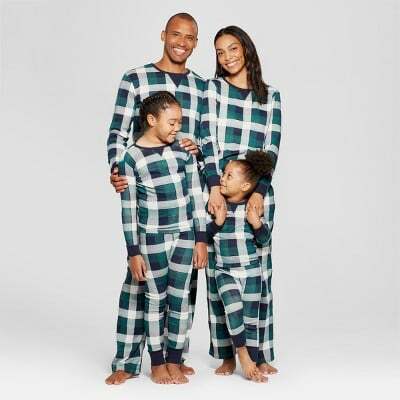 LL Bean never disappoints with their Wicked Soft pajamas and you should probably add a pair of their “wicked good” slippers to your cart, too. 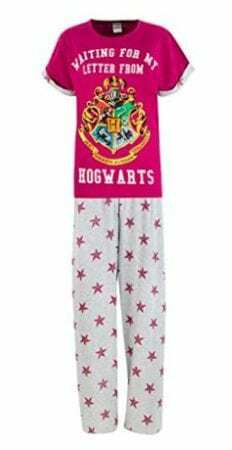 Your teen can snuggle up with a cup of hot cocoa and dig into her favorite book while wearing these cuddly pjs. 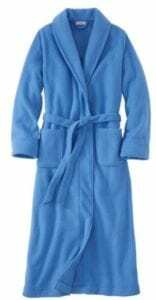 For those mornings when there’s a chill in the air and you just want to warm up with a cup of coffee before you start your day, a fleece robe is perfect. 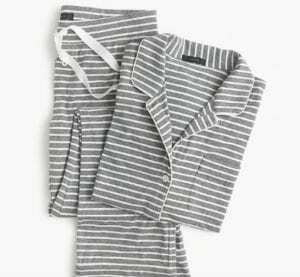 If the word “dreamy” is in the description of these cute striped pajamas, just take our money, J Crew. It’s impossible to not to relax when Snoopy is snuggling next to you, right? How cool are these? 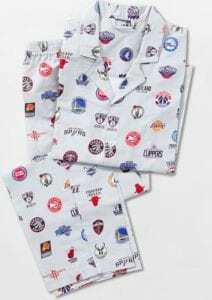 Or, should we say, how cozy are these for the sports fanatic teen in your life?